Shangri-La Hotel, Toronto welcomes spring with a Botanical Afternoon Tea in partnership with award-winning Niagara Region artisanal gin producer Levenswater and their carefully-crafted Spring 34 gin. Gin-inspired menu offers aromatic delights to afternoon tea-goers and gin connoisseurs alike. Robb Report, a name synonymous with luxury lifestyles the world over, has initiated a new membership subscription service which allows those who pursue of the good life to have delicious, luxurious haute items delivered monthly. With a name like Hand of God Wines there is little room for error and when an inviting sampler of its newest vintages showed up the expectation for a delightful, rapturous, cloud nine of flavor experience was high. Celebrating the joys of a life well-lived and success well-deserved always calls for a toast of champagne. As an aspiring connoisseur, I'm indelibly on the hunt for champagnes that offer a multi-sensory delight even beyond the palate. In this quest I have uncovered Armand de Brignac - a treasure, quite literally. The LUXE Sunset Boulevard, a haven of luxury and impeccable elegance right off the 405, is home to master Chef Oliver Rousselle and the LUXE Sunset team dedicated to making every opportunity at any LWH a memorable one. Swedish Chocolatier Emanuel Andren launched into the North American confections market with a whirlwind Southern California trip that began at the Pebble Beach Concours d'Elegance and concluded with a sampling at the historic Chateau Marmont in Hollywood. 2 Chicks With Chocolate, the New Jersey based award-winning chocolatier, is ready to spice up this holiday season with its fabulous infusions. Pourtal Wine Tasting Bar, located on Santa Monica Blvd just east of Ocean Drive in Santa Monica, recently hosted an evening of introduction at a private wine tasting event. Chocolate Treat and Truffles, held at the world renowned International Culinary Center in lower Manhattan, a four hour intensive that focuses on the fine art of creating mouth watering, indulging, sinfully delicious chocolate confectionary treats! Wine Uncorked, a wine lover’s recreational class, offered at the famous International Culinary Center in the Soho section of Manhattan offers the wine enthusiast the occasion to go beyond sniff, swirl and sip. Pasta for Future Chef's: More than Tortellini, Linguine and Sauce! Pasta for Future Chef’s, a four hour workshop held at Manhattan’s International Culinary Center, teaches even the most culinary challenged the fine art of pasta making. Malort: for some, the word is foreign, but to others it brings instant memories of a bitter-tasting drink, one they've managed to avoid since they were first coerced into trying it. It's a distilled liqueur, made with wormwood—Malort is the Swedish word for wormwood, which is the same plant used in making absinthe. Celebrating its 19th year, the Festival Gourmet International returns to the pristine Pacific coastline of Mexico. The festival will once again tempt and delight the taste buds of hundreds of foodies who will come to Riviera Nayarit, Puerto Vallarta and Tepic for this international gourmet event. Capella Pedregal, located in Cabo San Lucas, offers culinary enthusiasts the chance to indulge in a delicious foodie experience at the hotels annual Food & Wine Festival from July 9 through July 13, 2014. Sebastopol, CA., March 12, 2014 - Iron Horse Vineyards announces the March 17, 2014 release of a new, limited edition, vintage Sparkling Wine called Rainbow Cuvée, available at the winery and on the Iron Horse website. When it comes to food-and-wine pairings, American Kobe (Wagyu) beef matched with an intensely flavored Cabernet Sauvignon is nothing short of impeccable. The combination of a full bodied Cabernet with deep, concentrated flavor in combination with a fine-cut grade of this succulent, buttery beef is an exquisite epicurean experience like none other. Diageo is proud to announce that it will once again feature top luxury brands including Sterling Vineyards® wines, Johnnie Walker®, Haig Club™ Mortlach™ and Talisker™ Scotch whiskies, and Ketel One® vodka at this year’s Academy of Motion Picture Arts and Sciences’ Governors Ball. Let's face it for some Dads, gifting a tie, a bottle of aftershave or a pair of slippers for Father’s Day just won’t do. And a belated gift or “fallback” card from a drugstore carousel reeks of desperation, or utter laziness. For many men, life is all about experiences and beer, lots and lots of beer. Imagine a desert oasis where you can enjoy award-winning cuisine and partake in nightlife unlike any other. Well, Scottsdale is that place and it's a perfect locale for a quick weekend getaway. The newly remodeled and expanded Skynny Kitchen Restaurant in North Hollywood at Magnolia and Lankershim Blvd., opened recently offering a unique twist, American fare with a healthy spin, that appealed to me. The Daily Meal, the world's largest food and drink lifestyle site, just unveiled its annual list of the 101 Best Wineries in America. As was the case for last year's 101 Best, The Daily Meal found that great wines are being made not just in California and the Pacific Northwest but all over the country. Mix up your spirit selections and take your soirées to an unforgettable new level this season with libations that eradicate expectations. There’s no need to hit the bar for a stellar craft cocktail, as killer concoctions are a snap to make at home! Face Rock Creamery, which makes handcrafted cheese of great character, offers a savory seasonal trio of cheese recipes perfect for tailgating and Halloween entertaining. Each recipe uses Vampire Slayer, an award winning garlic-infused cheddar that will please adventurous palates. PENFOLDS launched its latest collection of wines at the China pavilion in Shanghai, giving a strong indication of where the iconic winemaker believes the market has shifted for luxury products. 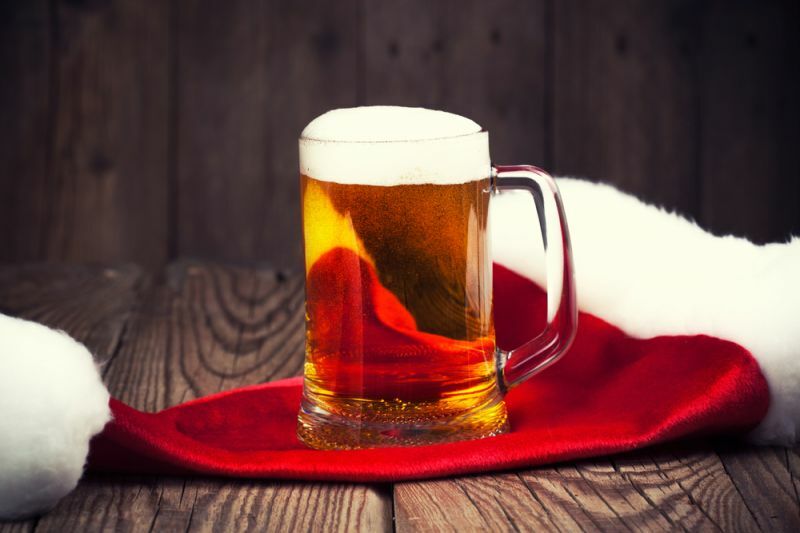 The winter holidays are an extra special time of year for beer lovers. It's the time of year when brewers around the world pull out all the hops, creating special brews that circulate for a limited time only. With Thanksgiving in the past, and the rest of the holiday season upon us, many belts have been loosened to make room for the extra holiday weight. While the holidays are a well-known time for increased sugar intake, many coffee companies are taking it to the next level. Experience a taste of Sonoma County’s Dry Creek Valley on February 20, when more than 25 of the region’s wineries pour more than 100 wines at Culver City’s Smashbox Studios, alongside gourmet food pairings prepared by Food Network Chef Bob Blumer. When it comes to alcohol consumption, people can get their fix in many ways. Between wine, beer and hard liquor, the various brands and types can seem endless. Given the long-standing history of alcohol, it’s no wonder people have been able to create so many varieties. 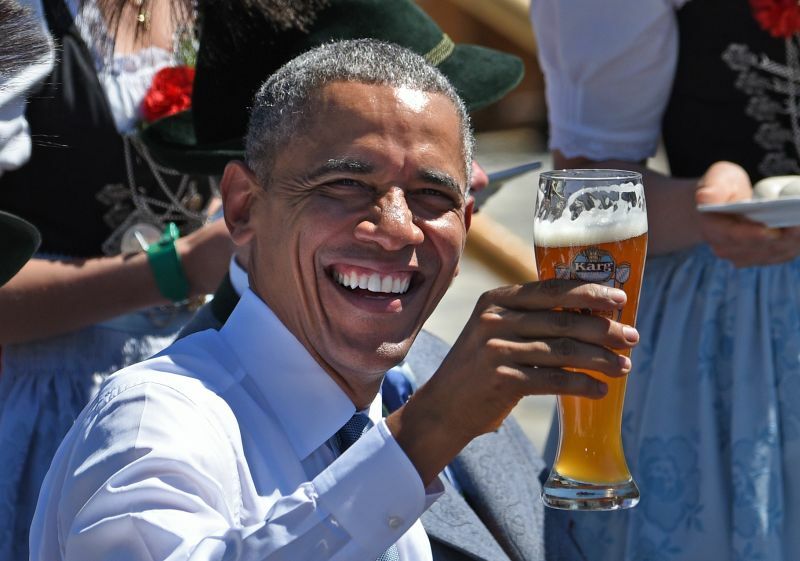 In preparation for President's Day, the folks at UnderTheLabel and InsideGov teamed up to find out the favorite alcoholic drink of every U.S. president in history. Rooted in Mr. Palmer's winning tradition and honoring his unparalleled legacy, the Nolet family has created a limited edition Ketel One Vodka bottle as a "thank you" to Arnold Palmer for the impact he had on the world and the game many love. Opening the canister to any Harney & Sons Fine Tea and one will immediately be taken in by the aromatic fusions of fine tea leaves, blended together to create specialty brews guaranteed to transport with each flavorful sip. Gracianna symbolizes everyday gratitude's and graciousness in entertaining because we believe that successfully hosting a special meal with friends and family is an everlasting circle that fills our lives. To celebrate a decade of growth we announce a Bay Area-wide philanthropic award. Paying homage to the Americana diner culture and the universal liquid medium of family and friendship, actor/entrepreneur Scott Patterson, best-known as diner owner Luke Danes on the hit television series "Gilmore Girls," has launched Scotty P's Big Mug Coffee. With Valentine's day just around the corner, California Tea House, the premier boutique, organic tea company of Southern California, decided to inspire tea lovers to ignite their passion for tea by turning it into a passionate rendezvous. Toast International Beer Day and join PT Entertainment Group’s celebration of ales, lagers and stouts on International Beer Day and enjoy 50 percent off import beers including Corona, Guinness, Heineken, Stella Artois, Dos Equis and many others. PT's Entertainment Group will commemorate the grand opening of its 60th tavern, PT's Gold, located at 8985 Blue Diamond Road, with a celebration including discounts on food and drinks from 5 to 10 p.m. on Thursday, Aug. 30. This holiday season, Grey Goose will transform JFK's Terminal 4 into an immersive cocktail and shopping experience with drinks from NYC's top bartenders, inviting travelers to an unparalleled event in one of the world's busiest airport locations. The nation will pause to remember Martin Luther King, Jr., the Civil Rights leader slain for his outspoken beliefs and commitment to non-violent social change, on Monday, January 20, 2014. Sicario: Day of the Soldado, from Sony Pictures Entertainment, picks up the story of the dirty deeds mercenary and his team as they weed out the strengthening Mexican cartels by instigating an inner cartel war with disastrous results. Ask 100 people their top five movies, and you'll get 100 different answers. That’s the beauty of cinema: it's an art form that impacts uniquely. One list will be filled with classic Hitchcock horror; another with modern, independent dramas and Cannes Film Festival darlings. President Donald Trump, since the news Saudi Crown Prince Mohammed bin Salman had Washington Post journalist Jamel Khashoggi murdered, has skirted a hardline position reserving his usual assertive and uncompromising stance for mild rebukes while the world demands justice. TED 2, from Universal Pictures, presents an edgy, frat house, party bus weekend, trip as they travel the extremes of acceptability skating the point of no return with sophomoric jokes and counter culture references. The 91st Academy Awards have wrapped and as many reflect on the surprises and upsets overall Oscar voters broke records, spread the wealth and honored many with a much deserved statuette seeing only performance, effort and achievement. Penned by renowned Civil Rights attorney David M. Weitzman, Living A Life That Matters will not jump off the shelf for the causal bookstore window shopper. The title, the image all suggest an intellectual read reserved for professors, scholars, politicians and the like. Peter Madsen, 46, the eccentric Danish charged with manslaughter in the murder of Swedish Journalist Kim Wall, has proffered a third explanation for her murder and failed to acknowledge his culpability in the postmortem dismemberment. LOS ANGELES, Ca. USA - Jeff Vespa, co-founder of the largest entertainment photo agency in the world, WireImage and founder of Verge, will release his first monograph, The Art of Discovery, this October on Rizzoli International Publications. The Dow Jones Industrial closed the trading week down with a stunning loss as the bear market pummeled the three main U.S. and once again mauling seven of the ten most watched global markets with equal intensity. James Eagan Holmes, former doctoral student, has been found guilty in the Aurora movie theater attack that left 12 dead and more than 58 injured as he stormed, in paramilitary fashion, the midnight showing of the film, The Dark Knight Rises. Accused theater Shooter, James Holmes, was arraigned this week in Aurora, Colorado for the killing rampage that began during the opening screening of the Warner Bros film, "The Dark Knight Rises." The DOW Jones Industrial Average, S&P500 and the NASDAQ fell hard to the Bear's grasp, losing more than 500 points in a single day initiating a downward spiral that was repeated throughout each of the ten global markets. Landline, from Amazon Studios and Oddlot Entertainment, a family rom-com, set in New York City in the mid-1990’s, where romance, comedy and drama are genuinely portrayed, with finely tuned characters, sharp, witty dialogue, real dilemmas, and hysterical scenes.